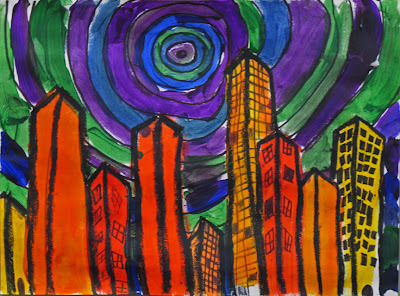 Fourth graders are finishing up these cityscapes that they began before the fall break. 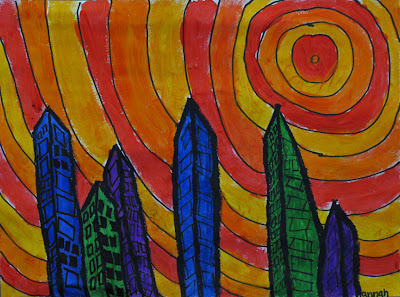 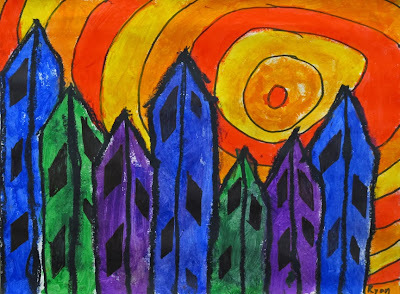 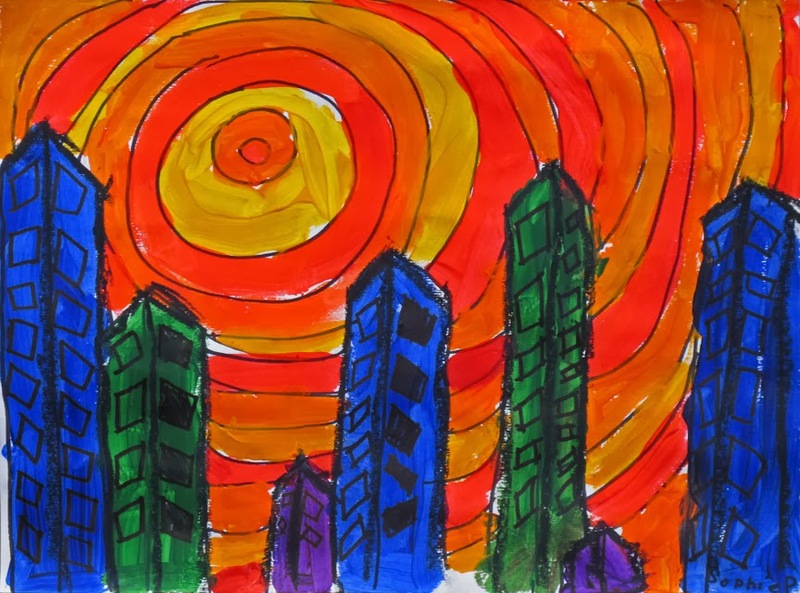 The lesson offers an opportunity to learn about the art principle of contrast -- in this case between the warm and cool colors (students chose one family for the buildings and one for their sky) and between the hard angles of the skyscrapers and the soft curves of the concentric circles around their suns (or moons). 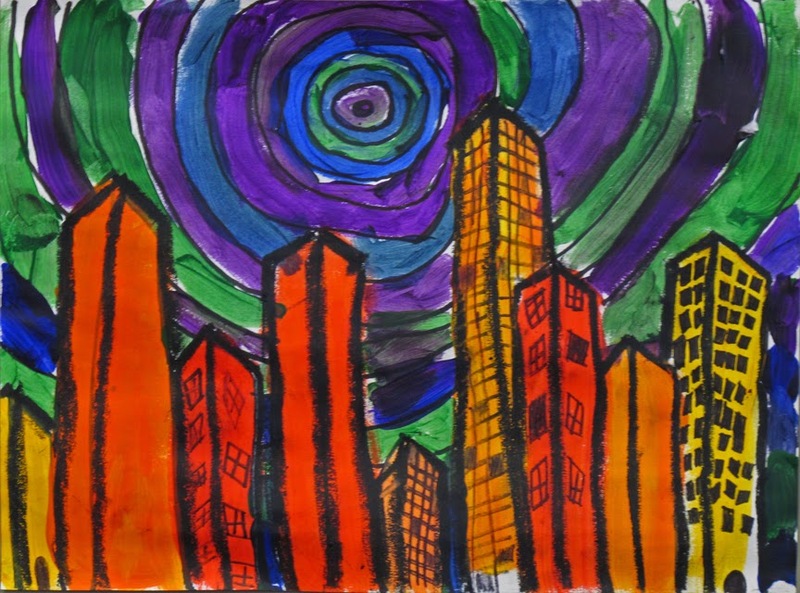 The students also get exposed to the idea of perspective, particularly the "worm's eye" view of these buildings and what that means for the shape of their windows and other details.